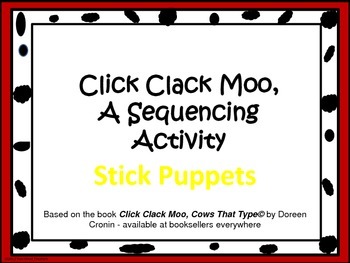 Sequencing Stick Puppets for "Click Clack Moo"
Print the pictures and attach to craft sticks. Read the book to your children, and discuss whole group. 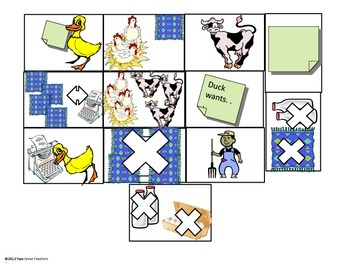 Afterward, students can sequence the story using the cows. 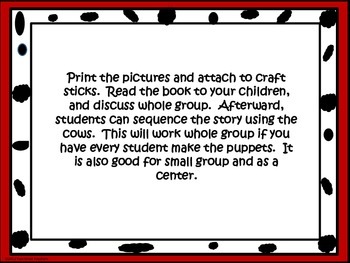 This will work whole group if you have every student make the puppets. It is also good for small group and as a center.